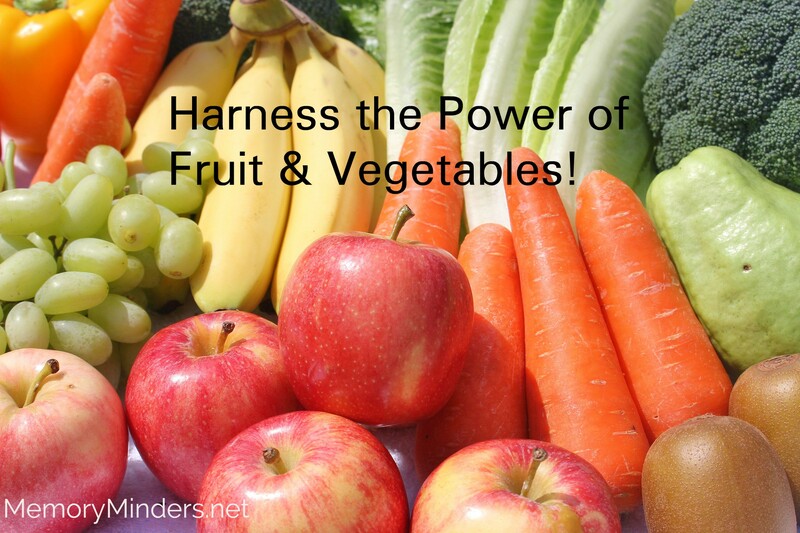 Add more fruit and veggies to your diet to feel better and stronger! We all know we should eat more fruit and vegetables but sometimes it’s hard to see immediate benefits. The cancer fighting and anti-aging properties have been known for decades but we all would love for more immediate results. Separate studies just out and published soon will show how eating these can lead to increased feelings of happiness and better muscle function. Soon to be published, one study looked at the impact of increasing fruit and vegetables and our feelings of well-being and happiness. The results showed going from almost no fruit and vegetables to eight servings daily yielded increased life satisfaction ratings equivalent to moving from unemployment to employment. That’s a big increase! In a separate study, researchers found a molecule in the pomegranate which is transformed in the gut after eating enables rodent cells to protect themselves against one of the major causes of aging. A build up of factors leading to muscle weakening was impacted showing better muscle function. The results are so favorable they have already begun testing for similar results in humans. This is a big breaktrhough in understanding the process of muscle degeneration in aging! I have been sharing with anyone who will listen about the power of the little pomegranate for years and here’s more proof of its power! We clearly all need to increase and maintain high amounts of fruit (especially pomegranates) and vegetables in our diet. Not only can be benefit long term from decreased cancer and dementia risk, but also it will make us feel good in the short term. Our family is sharing in a farm fresh basket of food each week this summer, which has greatly increased our vegetable intake. Often I’ll grab extra fruit to put into my salad. I add pomegranate juice to my oj each day and I know it makes a big difference in my well-being. How can you increase your fruit and veggie intake this week? I say let’s toast to these findings! Pomegranate juice anyone?